A 30 mm higher than standard WC pan for more comfortable rising, designed by the internationally recognized code.2.design studio; for domestic, hotel and leisure applications. Designated as a 'Water Efficient Product' by the Bathroom Manufacturers Association. Authorized user no. 00979, 'Water Technology List' (www.eca-water.gov.uk). 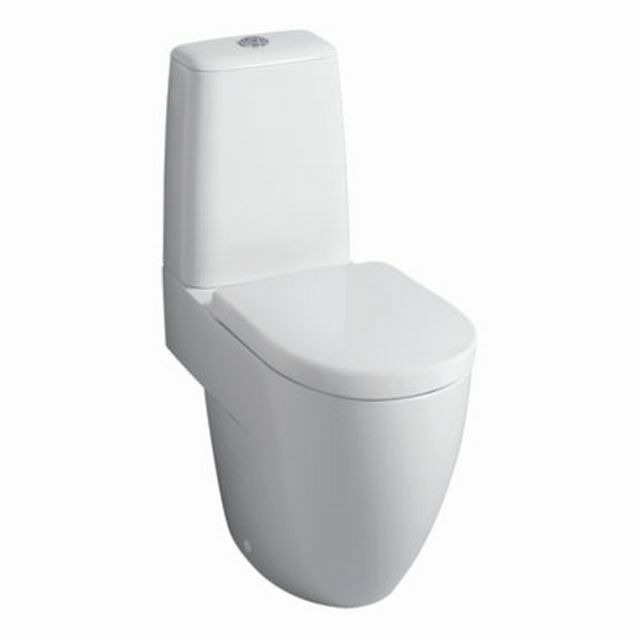 3D2396WH - Close coupled, dual flush 6/4 L, BSIO, push button. With bottom fix stainless steel hinges. With top fix chrome plated hinges and soft closing mechanism. S (or turned P) trap.